Over a year ago I started to play in an acoustic trio so I got an inexpensive steel string, a LAG T 200 JCE. I wrote about it earlier here. The trio went nowhere so after a few months the guitar ended up in its case. However, every once in a while I pick it up and play some jazz on it. I'm not a Manouche player at all - nor do I aspire to be one - but it's cool to see how an acoustic tone works great in a bebop or swing style too. You get that gypsy vibe pretty quickly too. Love the percussive attack of the steel string. This morning I let the camera run for a while when I was going through a few standards over gypsy backings and I selected a few clips to post here. I recorded the guitar with a consenser mike and added a big fat reverb. Dutchbopper unplugged! 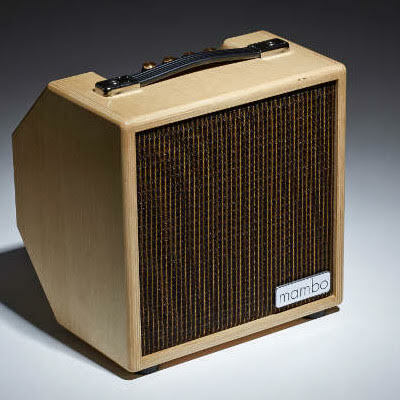 I just received the new model Mambo 10 wedge amplifier. In case you're not familiar with this amplifier, this is an extremely light weight, class D guitar amplifier expressly designed for jazz and fusion guitar and made in the UK. Recently, Mambo redesigned the preamp so that it's switchable between a Fender tonestack (modeled after a BF Showman) and the standard bandaxall tonestack (ala Polytone). This gives you the best of both worlds. It allows you to get sounds like vintage Joe Pass (Joy Spring album) in bandaxall mode and bright smooth jazz sounds like George Benson in Fender mode. Additionally, I have found that the Fender mode makes this amp sound suitable for pop music and fusion tones (using a pedal). For jazz, a hollowbody guitar and a cable is all you need. 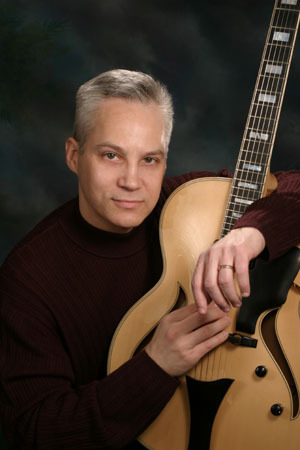 It sounds great with my semihollow guitar as well as my full hollowbody archtop. For fusion, I plug my guitar into a Wilson effects lotus-drive and get a very sweet fusion tone ala Robben Ford. With the current exchange rate, the £715 price exchanges to $1075 USD. Shipping was under $50. It's well worth it IMO. I have tried just about every jazz guitar amp on the market. With the Fender tone stack update, this amp is now the most versatile SS jazz amp on the market. It's got an abundance of headroom. I have used it in jazz trio situations, quintets, 2 guitar quartets, fusion and pop stuff and it sounds great in every situation. It's small enough that I can easily carry it with one hand to a gig and I don't have to carry a separate reverb pedal. The amp is very light weight and the tone is clear and full and warm. It doesn't sound like a tube amp but for an SS amp, I'm not sure how you can get anything better than this. The Mambo 10 comes in a head form factor as well. There is an 8" version for those of you who ride the subway to gigs but the 10" version is so small and light I'd recommend it over the 8" unless you really, really need the smaller size. I'll be doing some clips with it on Youtube coming up. Tune into my Youtube channel for updates. Feel free to email me if you have any questions. 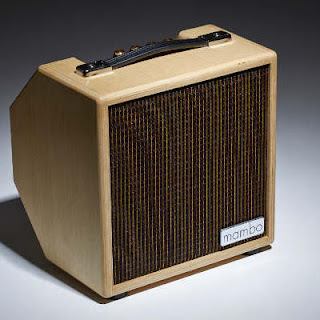 I'm not affiliated with Mambo amps so I apologize in advance if my replies are not as speedy as you like.